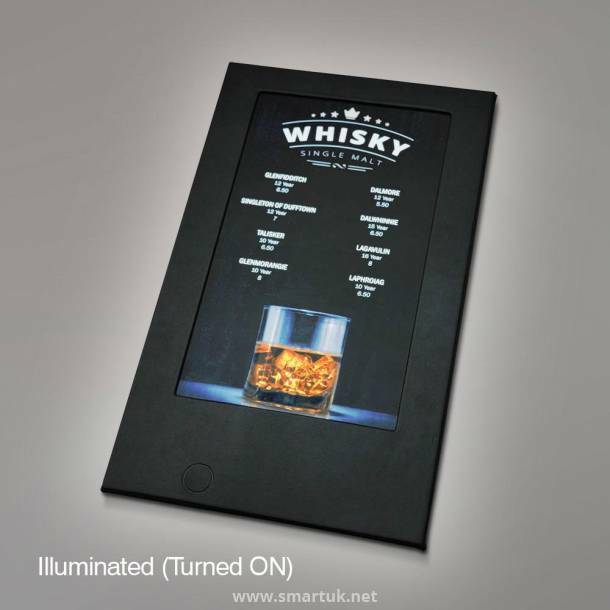 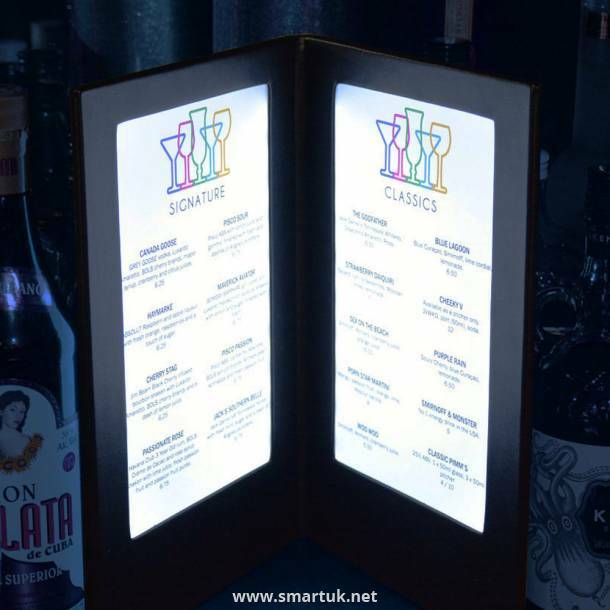 Brighten up your venue in style with our collection of LED Illuminated Menu Covers. 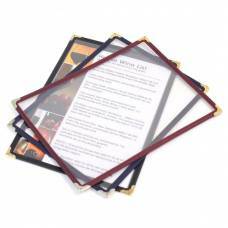 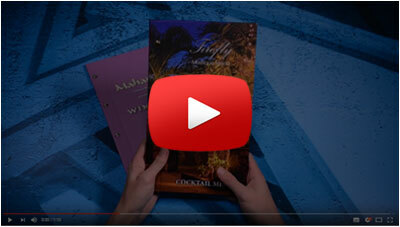 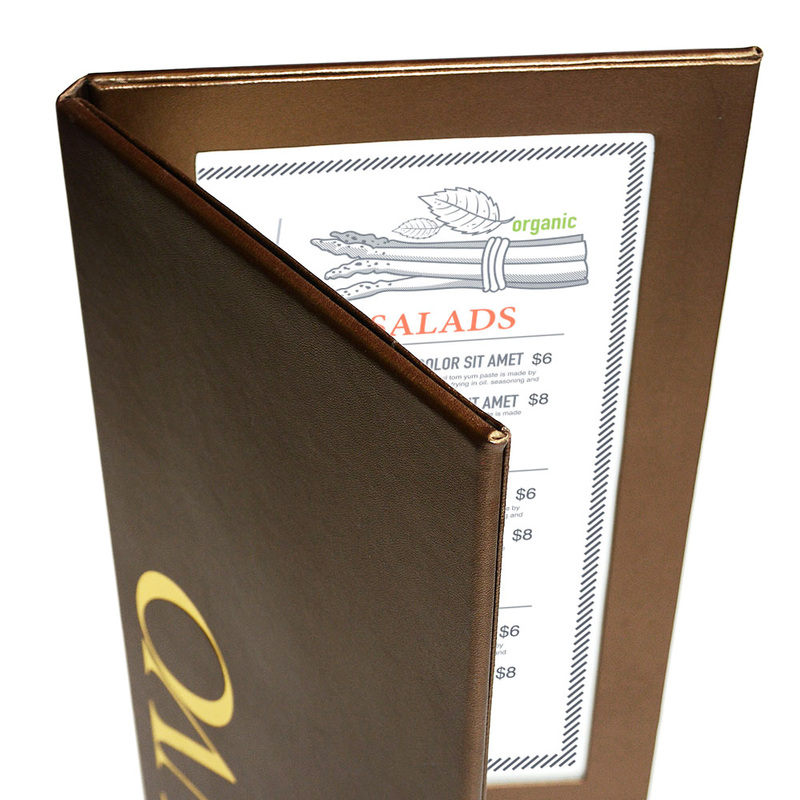 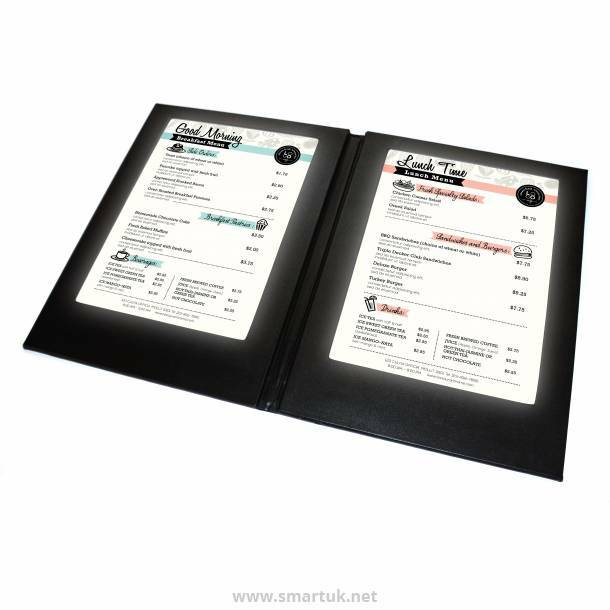 Our Single and Double View Illuminated Menus come as standard in three sizes; A5, 1/3 A3 and A4. 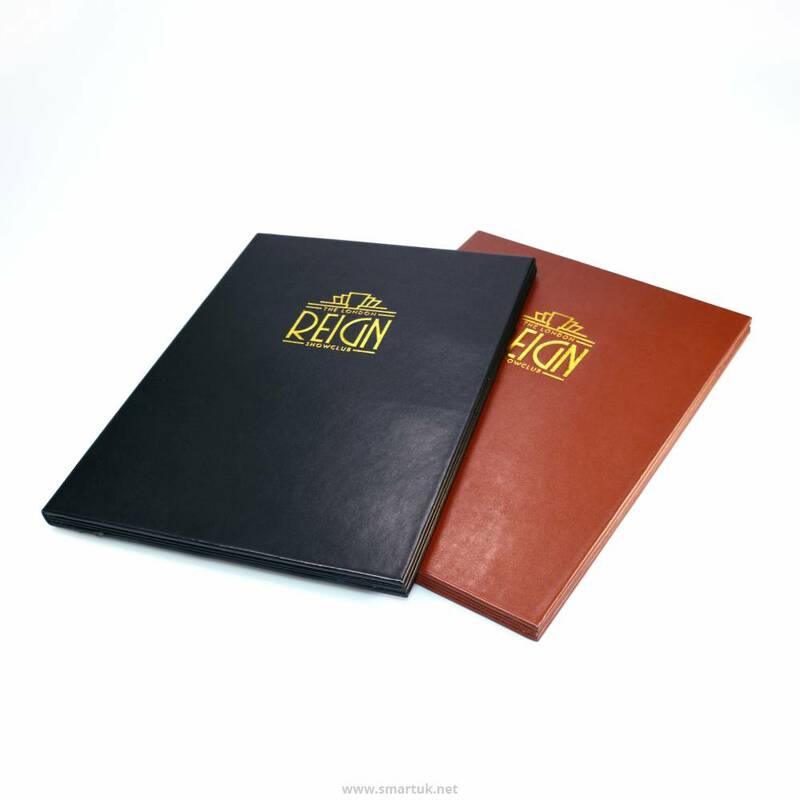 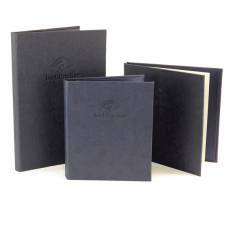 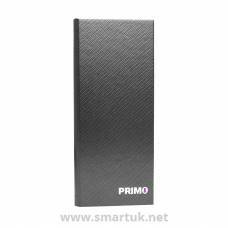 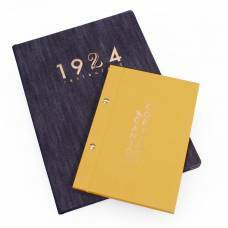 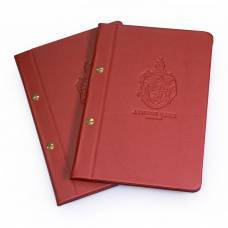 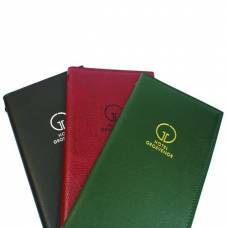 Stocked in black, these shock, splash and stain resistant menus are easy to change and will be the talk of your guests. 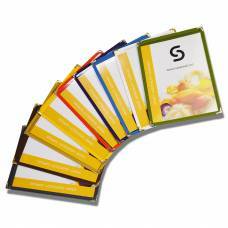 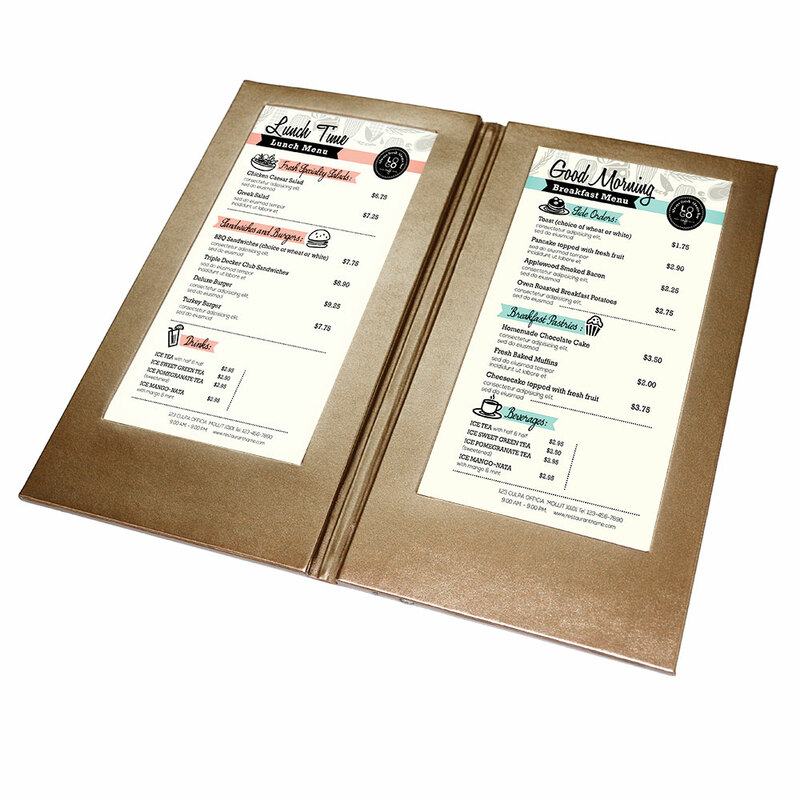 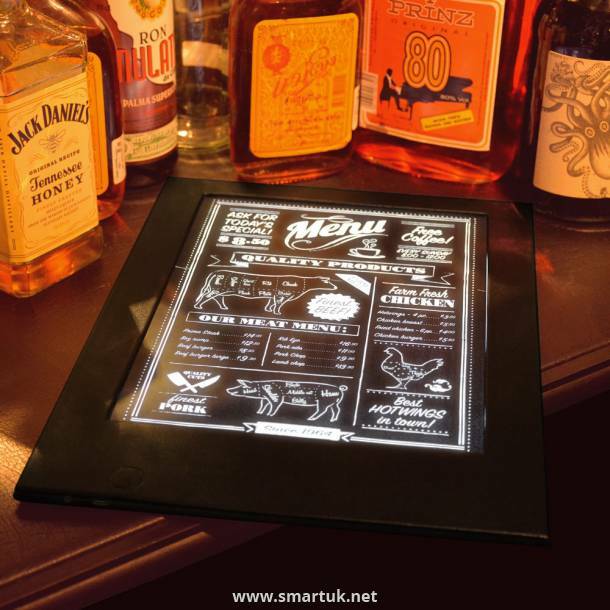 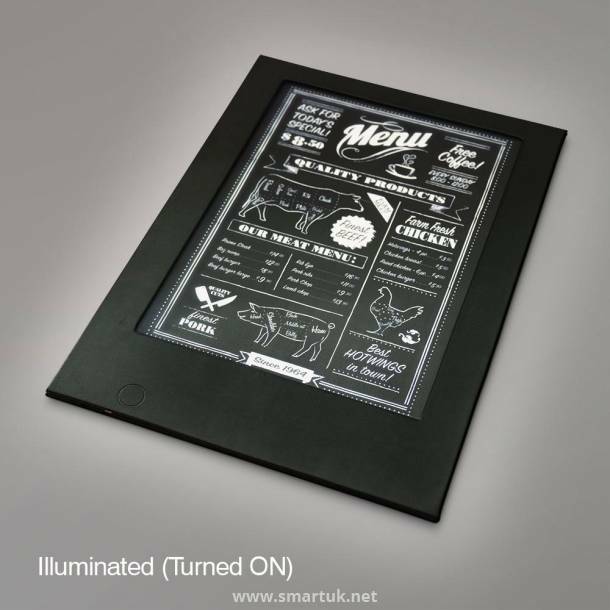 You simply print your menu onto backlit paper (which you can also purchase directly from Smart) using a regular desktop printer, and then slot the printed menu cards into the frames on the inside front and back of the covers. 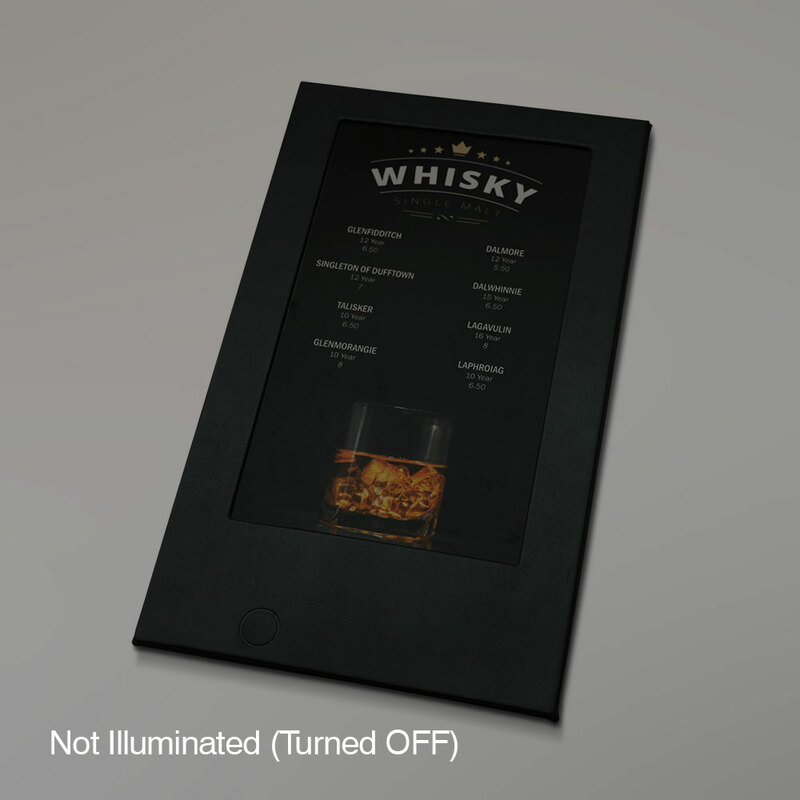 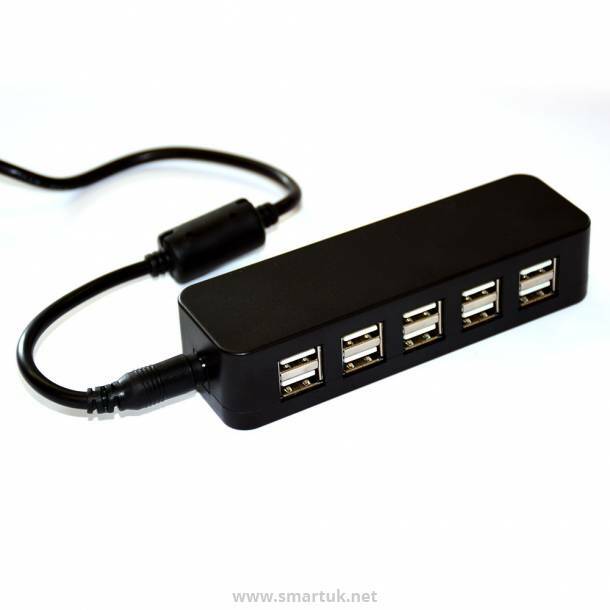 Furthermore, there is a discreet button that will turn on the LED, saving the battery life. 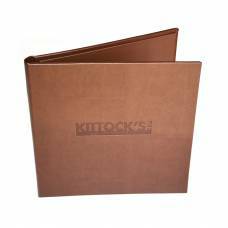 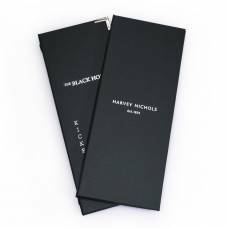 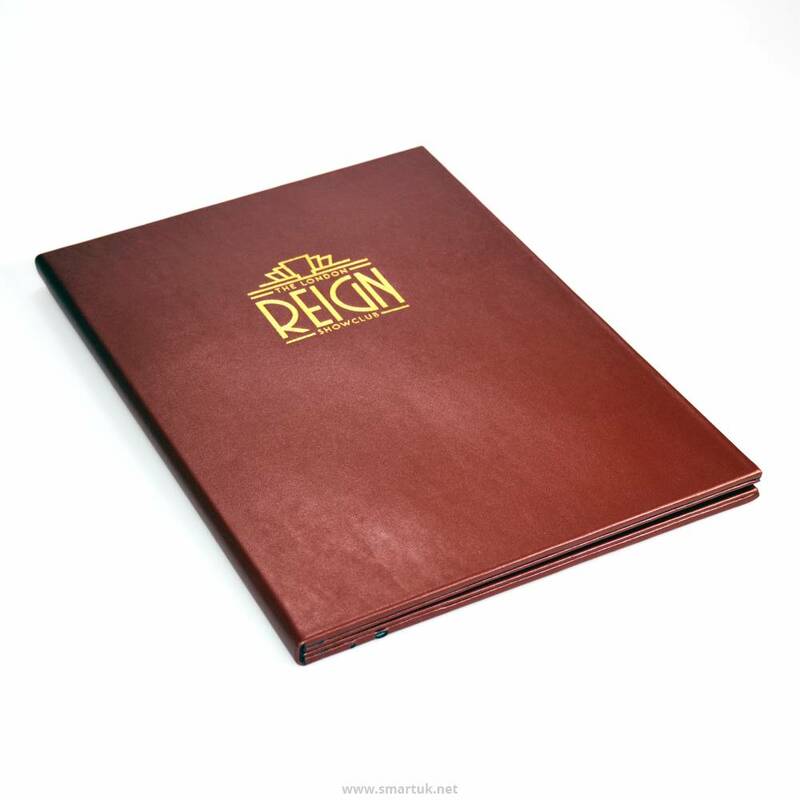 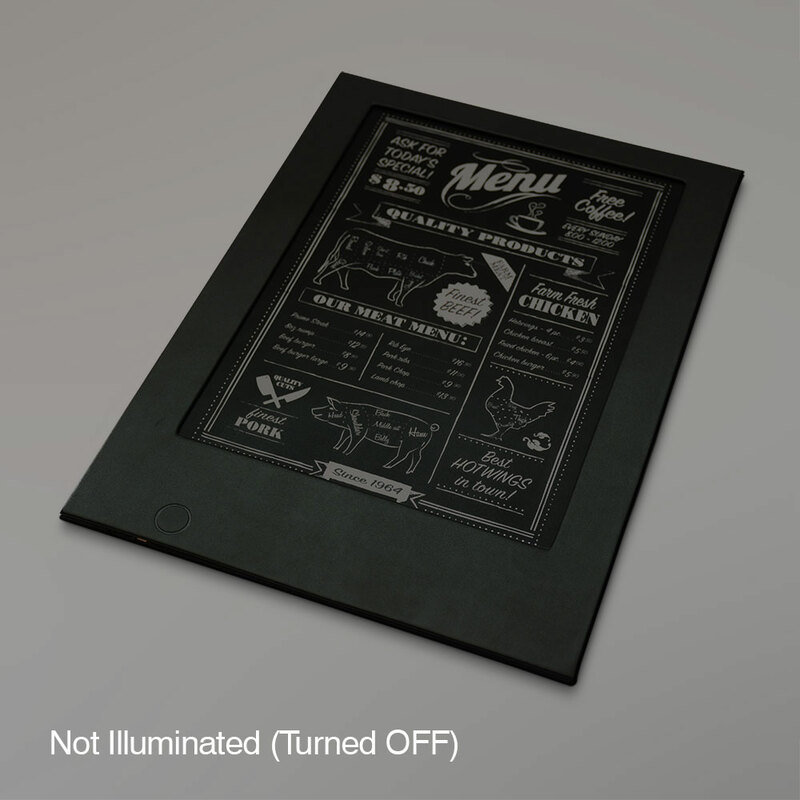 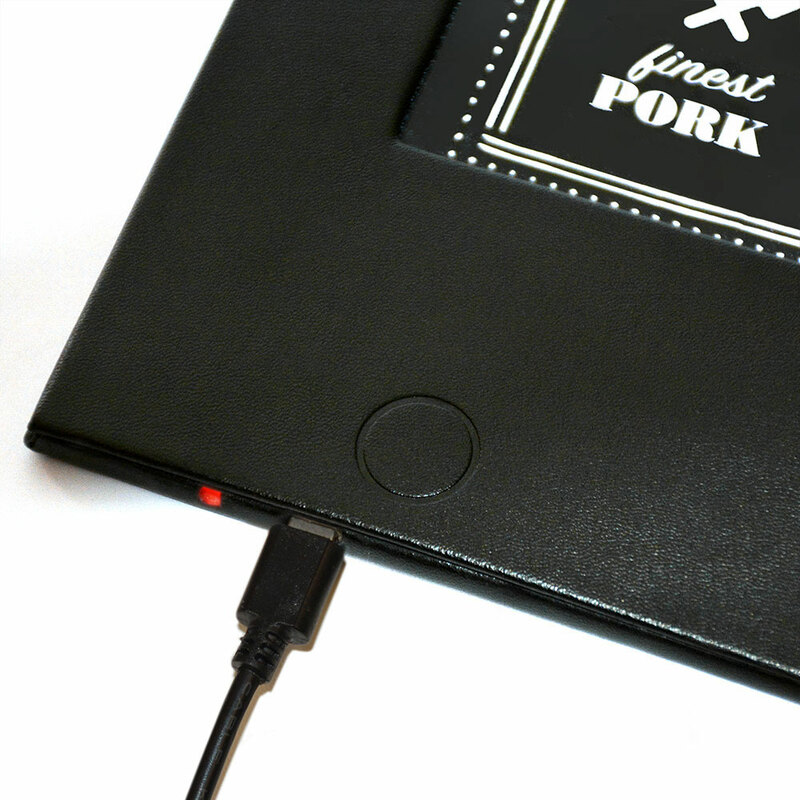 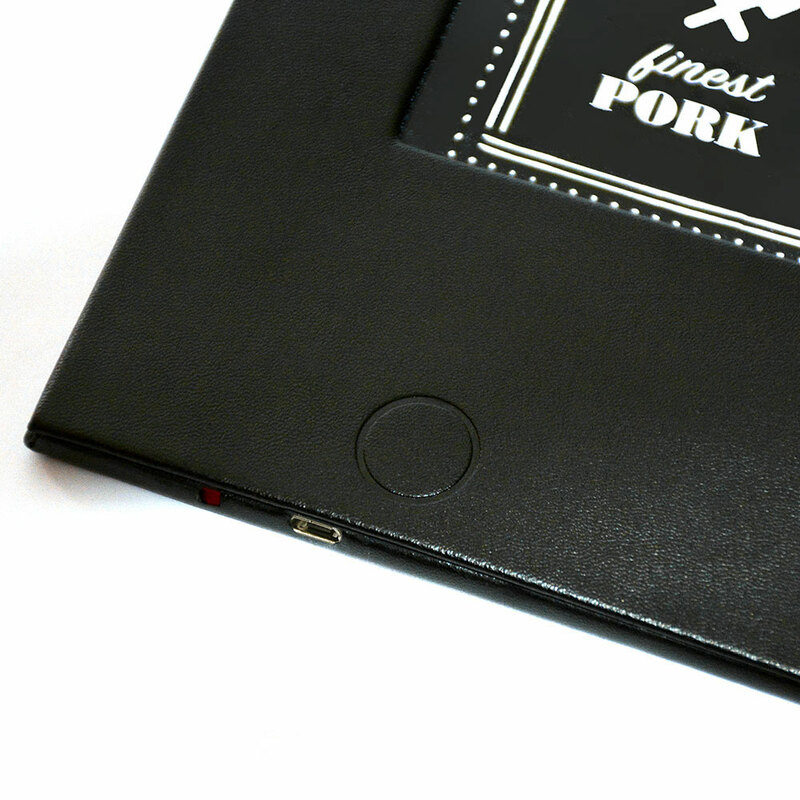 Whilst we stock our Illuminated Menus in Black smooth bonded leather and plain, we can make your Illuminated Menus to your bespoke requirements. 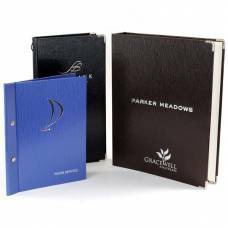 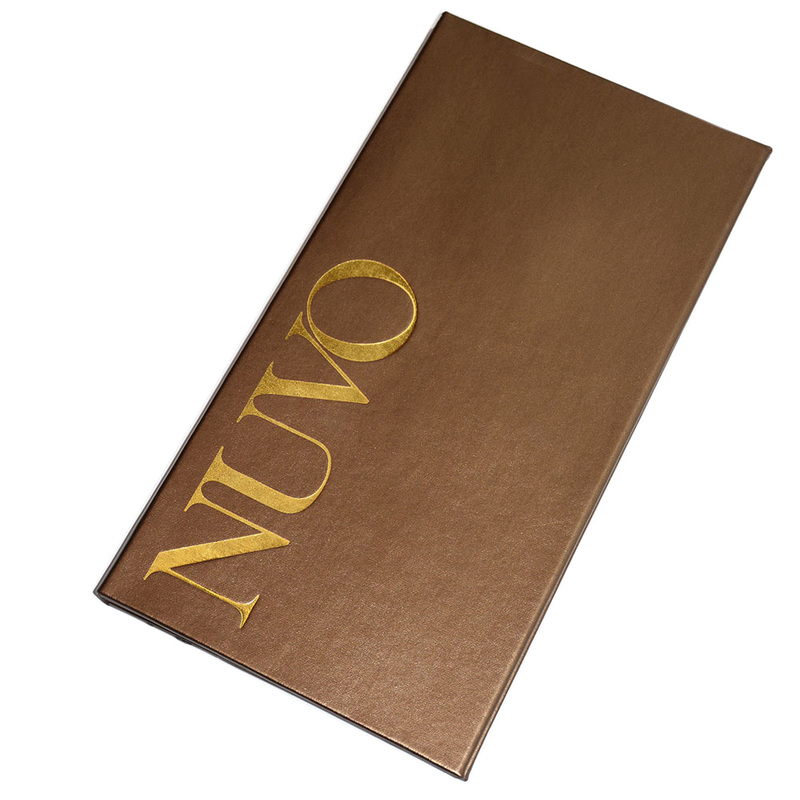 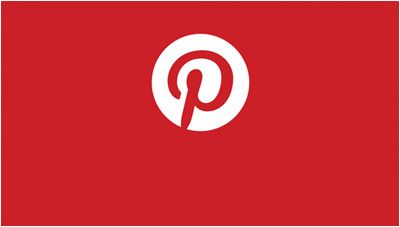 If you require a blind emboss or gold/silver foil stamped logo, please speak to a member of our sales team. 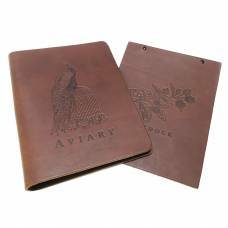 Further to this, there are other colours of leather available too for larger quantity orders. 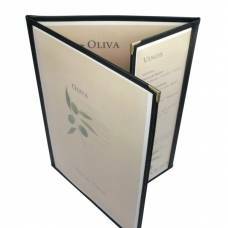 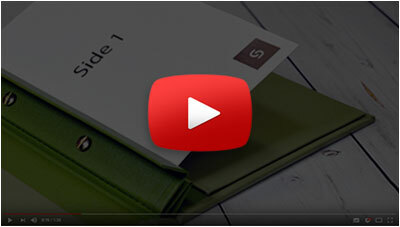 Single menu board pieces and Illuminated Bill Presenters are also available.